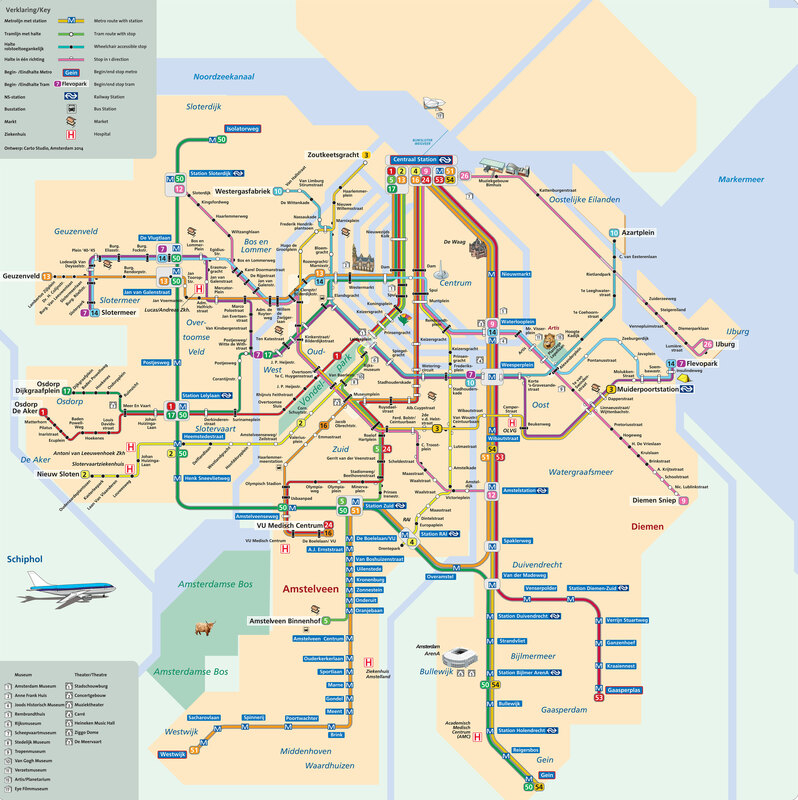 You can find on this page the map of Amsterdam tram. Amsterdam tram is a transit system serving the city of Amsterdam (Netherlands) with the subway, the bus or the ferry. The tram network has 15 lines and 500 stations forming a rail network of 50 miles (80,5 km). Amsterdam trams exist since 1900 and are operated by the GVB (Gemeentelijk Vervoerbedrijf).